Thinly sliced swiss cheese (1 ounce). If you can find fat-free that is even better. Place 1 tablespoon of Thousand Island dressing on the tortilla along with the cheese slices. 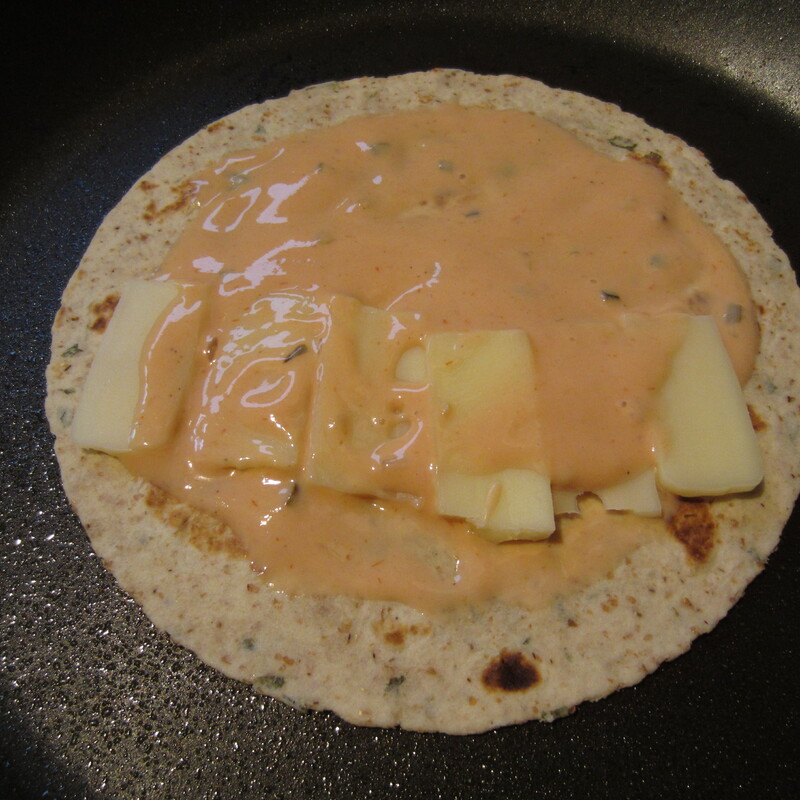 Coat a skillet with non-stick cooking spray and heat the tortilla until cheese begins to melt. I place the turkey and kraut along the side of the pan so that they heat through. 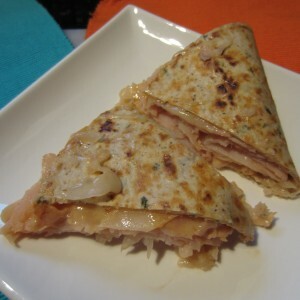 Once cheese begins to melt layer 1/2 of tortilla with the turkey and kraut. I used extra Thousand Island dressing too (an additional 1 tablespoon). Flip tortilla and continue toasting. Remove from heat and cut into triangles. Slightly toast the tortilla and melt the swiss cheese. Slighty toast the tortilla while melting the Swiss cheese. In the neighborhood of 200 calories for the whole shamole. Print this recipe using your print screen option.